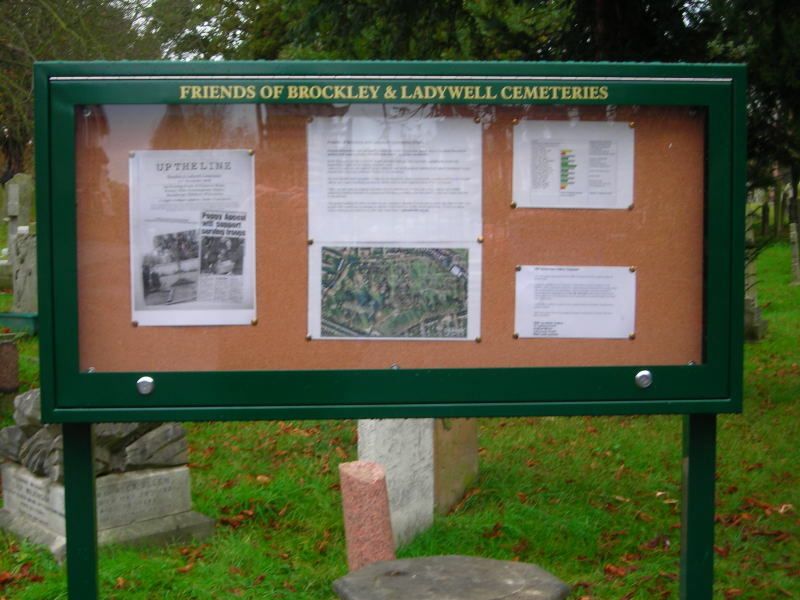 Those who have visited the Brockley and Ladywell Cemeteries in the last couple of weeks will have noticed the fine new noticeboard recently installed by the Ladywell entrance. This was paid for by the Localities Fund. The FOBLC is delighted to have been succesful in a bid for a similar noticeboard which will be placed by the Brockley Road entrance, as well as a joint bid for a nature/walking trail leaflet for Ladywell (which will include part of the Ladywell Cemetery).